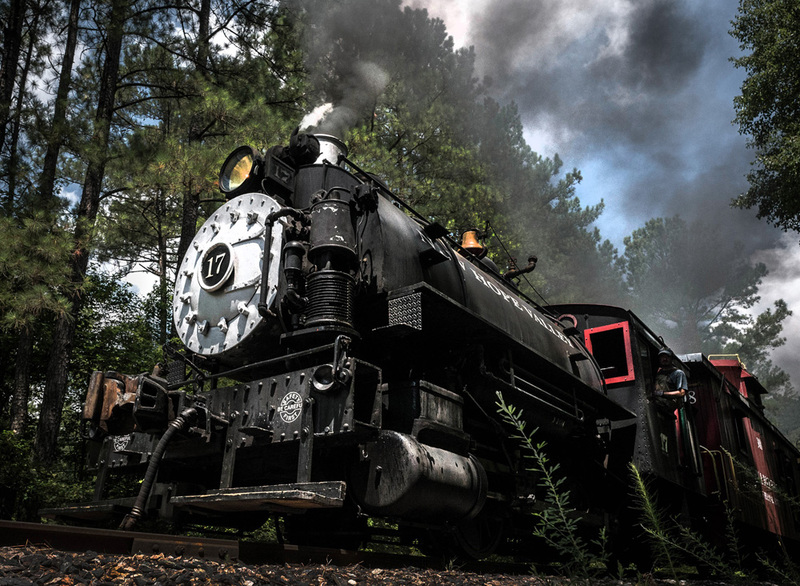 New Hope Valley Railway — the Triangle’s Train — is celebrating its steam engine with a special early-season ride day before the locomotive undergoes federally-mandated repairs. Diesel trains will continue to run throughout the season and visitors can still ride on the same tree-lined tracks between Bonsal and New Hill. A Steam Party, with train rides, food and hot beverages, will take place on Saturday, Feb. 11, 2017. Trains will depart at 11:00 a.m., 1:00 p.m. and 3:00 p.m. Ticket sales from the day will go toward the steam engine repairs. During the Federal Railroad Administration (FRA) required inspection, the steam locomotive will be disassembled so all of its parts can be thoroughly checked. The work will be done by the railroad’s all-volunteer, professional crew at the rail yard in Bonsal, located 30 minutes southeast of Raleigh. Steam train tickets are $15 for adults, $14 for seniors (60+), $9 for children (2-12), and free for kids under the age of two. Tickets can only be purchased at the rail yard ticket office on the day of the ride, as NHVR revamps its online ticketing system. Steam Engine #17 was built in 1941 by Vulcan Iron Works for the New York Ship Building Corporation in Camden, New Jersey. NHVR purchased the class 0-4-0 locomotive in 1999 from a private owner and restored it to FRA regulations in 2002, then began using it for monthly ride days in 2003. The locomotive weighs 41 tons and is slightly more than 24 feet long. NHVR recently purchased two historic center-cab diesel locomotives from the United States Army and transported them from the Military Ocean Terminal Sunny Point in Southport, North Carolina to their rail yard in Bonsal. The two diesel engines will allow NHVR to continue to offer train rides and special events during its 2017 season and double its Operate-a-Loco program, that puts train enthusiasts who are 16 years or older in the engineer’s seat to operate a real diesel locomotive. Another event planned to take place before the regular season begins in April is the NCAA March Madness Basketball & Beer event on Saturday, March 25. Visitors are invited to watch a Sweet 16 NCAA college basketball game on a large television while enjoying food and beer, and then take a 4:30 p.m. diesel train ride. Celebrate Steam Engine #17 on Saturday, Feb. 11, 2017, at New Hope Valley Railway (NHVR). The special early-season event will raise money and let visitors see the locomotive before it undergoes federally-mandated repairs. Diesel locomotives will continue to run throughout the season and visitors can still ride the train on the same route between Bonsal and New Hill.